Description: This is one of the very best go-withs and one of the most expensive! 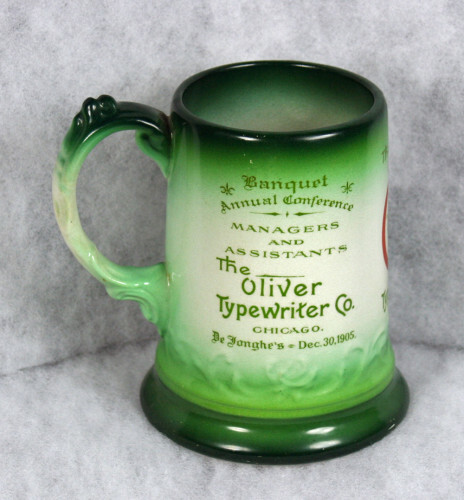 This mug was handed out at the Oliver Banquet Annual Conference in Chicago at De Jonghe’s on December 30th, 1905. The conference was for managers and assistants. 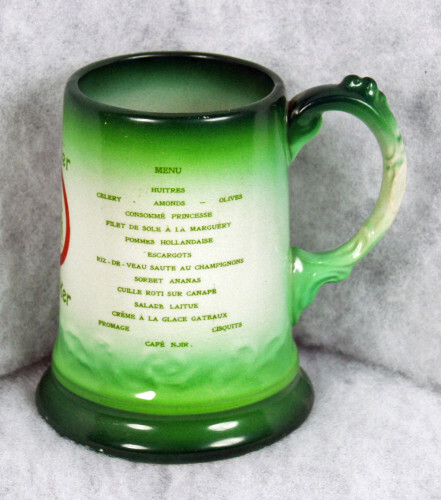 The mug even has the dinner menu on it. 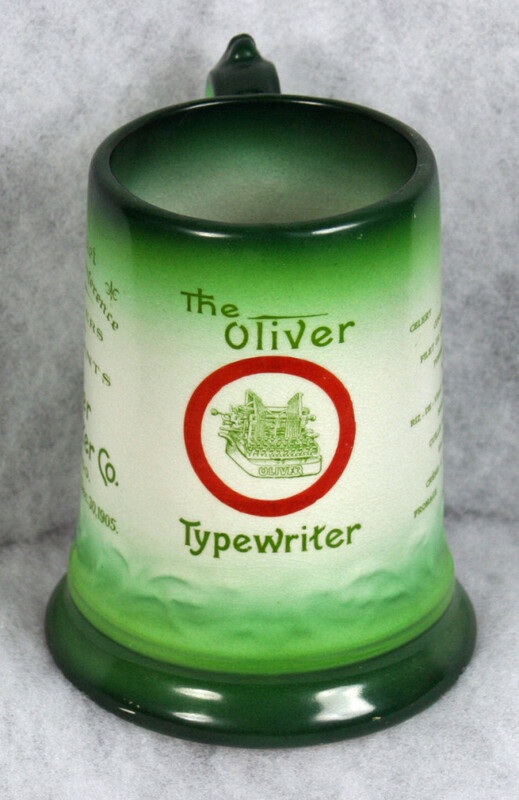 The trade mark Oliver typewriter in a red circle is on the mug’s front. The mug was made by the J. & L. Mayer Co., vitreous china.